Ok, who hasn’t seen “Buddy” the Elf sitting on every shelf as Christmas time approaches? And no, it’s not too early to think about Christmas. Our local craft store has some Christmas decorations out. Never mind that it still feels like summer outside. They are getting ready! I’ve seen the elf ideas popping up again on Pinterest boards already. That goofy little elf is back for another year. But not in my house. He doesn’t make an appearance on any of my shelves. Wanna know why? First, if you’re not familiar with the elf concept, let me explain. You buy a book and a creepy little elf doll. You name him and make him part of your family for the Christmas season. Every night (or every week) he jets back to the North Pole to report all your good and bad deeds to Santa. Your kids wake up the following morning to find out that their elf has moved. They hunt him down and find him getting in to all kinds of mischief in your house – or simply hiding in a new spot if you’re not the creative type. So, the elf tattles on you to Santa, ferrying little reports back to the big guy. That’s what you’re telling your kids? And then you tell them that if they haven’t been good, their little elf will take a less than favorable report to Mr. Claus, which might mean less presents for them. So, is it a threat or is it a form of bribery to coax better behavior out of our kids? No thanks. At our house, good behavior is year-round. We don’t just focus on character and obedience at Christmas time. Do I think it’s wrong to reward kids for good deeds or good behavior? No. Our house often has sticker charts whereby the kids can earn privileges. That’s the way life works. You work hard; you do a great job; you benefit from that job well done. However, that’s not part of my Christmas. I don’t threaten to withhold gifts from my children for birthday or Christmas based on their behavior. My gifts to them are just that, gifts-given from me to them because I love them and I enjoy giving them gifts. Privileges are earned, gifts are not. But let’s get back to the true meaning of Christmas. Christmas is a gift-the greatest gift given. Could a people be more undeserving of the gift? What would have happened if we had a little elf on our shelf reporting our deeds back to God? I wouldn’t have received a glowing result based on God’s standard. Neither would you. Sorry, guess you won’t get a gift this year. That’s not how God works and I could not be more thankful that He is full of grace. As a parent, I want to model that to my children. Christmas is the perfect time for the object lesson of grace and love. That’s where I choose to place my focus. What about their behavior? You just want to encourage your child to act a little better, exhibit a little generosity and kindness. Is that such a bad thing? Christmas is the time of year when you’ve decided you’re going to change your child’s behavior for the better. 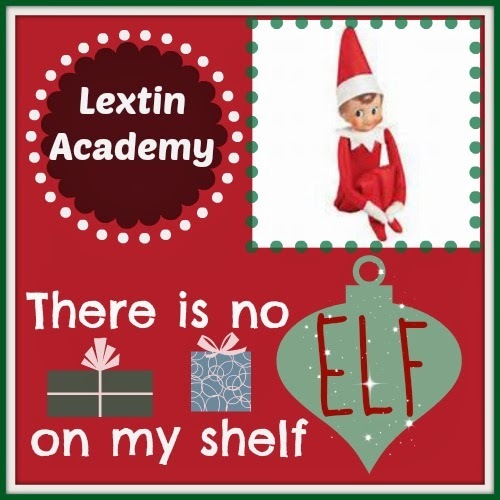 You grab your little elf and you start giving daily reminders. I’m sure some kids do exhibit a behavior shift. Great. What about their heart? Are you teaching them integrity or to behave for a short time in order to get their wonderful Christmas gifts that you were probably planning to get for them anyway? The thing about the elf, well, he might be nothing more than empty threats from some parents. You’ve heard the empty threat parent in the store and you’ve probably been that parent more than once. You lay down an ultimatum with no intention to follow through-you just had to say something to get your child’s attention. Well, kids are smarter than we give them credit for; they can call your bluff. And some kids will see the elf as a dressed up empty threat. Do I sound like the Grinch? You argue that the elf is all in fun; it’s part of the magic of the season; it’s not about the gifts. Can’t the elf just be a tradition? It’s for the kids after all! Well, yes, I would agree. I think the elf can be a fun tradition and after seeing the crazy ideas on Pinterest, I can see the excitement and magic of the early morning hunt. But I think the elf on the shelf should be nothing more than that. He should not tattle to Santa every night. Threats should not be made to withhold gifts. The giving of gifts should not be dependent upon behavior. The elf should be done in fun and the concept of gift-giving should not be tainted by a silly little doll. Why can’t he fly off to Santa to just visit, to pass messages back and forth, to bring gift wishlists? Why can’t he just join the family for the sheer enjoyment and make mischief during the night? Gifts are freely given, even when the recipient might be deemed undeserving by some. Christmas is when we should focus on the gift we are free to receive. 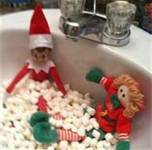 I’m so thankful there’s no elf on my shelf who is taking note of all my misdeeds. I serve a God who takes those transgressions and throws them as far as the east is from the west. They are gone forever. That’s how infinite His grace. I don’t want to warp my children’s view of the giving of grace. Christ is our perfect model. I teach the freely-given, undeserved gift of Him at Christmas. I totally agree! Well written! Oh Lexi, I love this post! I think the elf idea in so cute in theory for fun and even creativity ( how about each day a new person gets to put the elf somewhere witha new pose), but as an incentive for behavior- no way. That actually creeps me out…an elf watching my behavior? ;). Shhhh….don't tell, but we don't "do" Santa either. Trying to keep the focus on a quiet manger and a Holy God! Spot on!!!!! Great post, Lexi! I so agree! Early on, I never liked the idea of deceiving my children when it comes to Santa. I saw too many parents fight to keep their children believing Santa was real. My kids know the stories about Santa. They know he isn't real. We do have Santa decorations, but they go along with the stories of Santa as do the reindeer, etc. As for the elf, I'd like to get one to add to our fun. My husband and I would have a blast, but again, he would be part of the story of Christmas. And definitely not tied to behavior – I agree, creepy! He can go back and visit Santa and the elves. I love your post! I never really understood the elf on the shelf – obviously we don't have one. 🙂 Thanks for clearing that up for me! I had no idea he was reporting behavioral issues. I just didn't want his behavior to set an example of "making a mess is cute" to my kids. Thanks for sharing your insights! Thanks! I have been bothered when I've heard other families talk about their elf and how they use it. Many of them use him as a little threat to get good behavior out of their kids. I can't stand that mentality. I do think a tradition like the elf would be very fun if it's just a fun family tradition and not based on behavior. I think the tattling to Santa part is really warped! I just didn't know if I had the time and creativity to keep the elf thing going during the holidays. Some elf ideas are really over the top! Well I guess I'm a bit clueless – I didn't know that the elf was supposed to be reporting the kids' behavior to Santa! We don't have one, obviously, but I think finding a silly place and pose to put one each morning would be a lot of fun. I enjoyed reading your perspective on the Elf on the Shelf trend. We have an Elf at our house, but he doesn't tattle to Santa. I guess I've never even thought about that. Jingles (our elf) just flies to the north pole at night, sometimes taking notes to Santa with him. Sometimes he ends up in a different place the next morning, but sometimes he's quite comfortable where he was. Some days he's more creative with where he hangs out than other day.s. Creeped out by the elf here, but amazed at some of the effort I see people put in to it. Just don't have the time around here…busy focusing on Christ! Great post, Lexi!